• Healthy Seas (www.healthyseas.org) a joint venture of a non-governmental organizations and businesses that share a common mission: clean the oceans and seas of marine litter such as derelict fishnets responsible for the needless death of marine animals. The project will soon be available on this page. • the “Alex Zanardi BIMBINGAMBA" Association (www.bimbingamba.com) which makes artificial limbs for children who have undergone amputations and do not have access to proper health care. 194 charity entries at an increased price which surcharge is destined for charity were sold on November 28th 2018. Furhter 194 charity entries were sold on March 28th 2019. • 8 CRYSTAL entries at a price of 1.500,00 Euro. With the purchase of a charity entry you will get a small souvenir from the charity organization in addition to a preferential starting grid (Gold registrations in the second grid, and the Platinum and Crystal registrations in the first starting grid). On 29th October, extremely bad weather in the Dolomites caused extensive damage, destroying millions of trees, roads, trails and damaging entire villages. The areas of Agordo and Livinallongo were particularly bad hit. That’s why the Maratona dles Dolomites-Enel Committee has decided to organise a fundraiser, with all proceeds going to the municipalities of Colle Santa Lucia and Livinallongo, who have seen the immense group of ‘marathoners’ pass through for years. In addition to the 388 charity registrations permitted by the Maratona's regulations, an additional 70 higher-priced registrations were also available half on 28thNovember 2018 and half on 28th March 2019. There will be 40 Gold registrations at a price of €250 and 30 Platinum registrations at a price of €500. All proceeds from these 70 registrations will go to the two municipalities: a small contribution to help these magnificent places get back to normality. On the slopes of Mount Moroto, in northern Uganda, the city of the same name is developing very quickly indeed. Despite the very basic surroundings that require extreme improvisation, roads, small shops and even some banks and small hotels are starting to pop up, changing the appearance of this landscape that, until just a few decades ago, was home to the Karimojong people and their cattle. Some are already planning a bright future in the wake of this development, and prosperity that should be shared by everyone. That’s right, for everyone. Yet, history teaches us that the opposite usually happens. It tells us that only few will actually benefit from this growth. History repeats itself and - yet again - the worse off will just have to stand by and watch. So, what can be done? 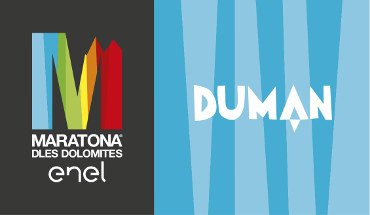 The non-profit “Insieme si può...” organisation, teaming up with Maratona dles Dolomites – Enel, has decided to help the poorest communities, working together with them to find sustainable growth solutions. So, alongside the apparent progress in the region and starting from the resources that are available locally, studies are being carried out into the possible alternatives that can also provide economic support to the most vulnerable individuals and families by developing income-generating activities. Among these activities, honey production really stands out. By using natural resources in a responsible way, this option offers the families involved a real way of supporting themselves. In order to develop this project, intensive training will be provided to 100 beekeepers who will be selected from the most remote areas of Mount Moroto, home to the poorest members of the population but also where the environmental conditions are favourable for the development of apiculture. Following the training courses, a start-up kit will be given to each beneficiary, made up of beehives and specific equipment to facilitate (and ensure the safety of) the honey collection process. A filtering centre will be installed in a protected environment set up by the "Insieme si può” organisation. This centre will be complete with specific honey-making equipment: the beekeepers can bring their harvest here and their honey will be packaged. This will guarantee the selection of a high-quality product, with equally high standards of hygiene. The honey will then be launched on a market that is already showing incredibly high levels of demand. All proceeds from the sale of the honey will go to the 100 beekeepers and their families. A sweet development, a sweet future. Healthy Seas (www.healthyseas.org) aims to remove waste, in particular fishing nets, from the seas for the purpose of creating healthier seas and recycling marine litter into textile products. The discarded, lost, or abandoned fishing nets are sometimes called “ghost nets” because they appear invisible underwater and continue to catch fish and other marine animals without human involvement. They are plastic waste which remains in the seas for hundreds of years and does not biodegrade. Millions of marine animals, including sharks, dolphins, seals and turtles get entangled in these nets leading to suffering and eventual death. Every year, some 640,000 tons of fishing gear is lost in our seas and oceans. Healthy Seas will organize a spectacular ghost net removal at the harbor of Lipari and surrounding reefs in the Aeolian Islands in summer 2019. Parallel to the removal activities by volunteer divers we will also organize a school programme to educate the local children about marine litter and about our work. A diving mission at the harbor would allow the children to observe from first row seats the preparations of the divers as well as their efforts to remove the ghost nets. Leading up to the day, we hope to organize a creative workshop with the children. As the waters at the harbor are quite shallow, we could also take the opportunity to invite divers (through a social media campaign) to join us at and help to clean up the highly polluted area. The sea around the Aeolian Islands is home to some of Europe’s endangered marine species. Bottlenose dolphins, loggerhead sea turtles, sperm whales, and dusky groupers, have been found entangled in nets near the Aeolian Islands and in the Tyrrhenian Sea, suffering unnecessarily and in many cases eventually dying. The long-term objective of the project is to aid the process for the creation of a well-managed marine protected area (MPA) across the Aeolian archipelago by contributing to the awareness of the local community towards the protection of the marine environment. This event will take place on World Oceans Day 2019 (8 June). The Association “Alex Zanardi BIMBINGAMBA” non-profit making organization makes artificial limbs for children who have undergone amputations and do not have access to proper health care. These children come from all over the world and have lost one or more limbs as a result of accidents, illness or injuries from explosives or firearms in war zones. BIMBINGAMBA Association operates thanks to OTTO BOCK SOLUZIONI ORTOPEDICHE SRL c / o the operative office R.T.M. of Budrio (Bo) and Studio Ferri & Associati of Bologna. Throughout their stay in Italy the children also receive logistical assistance. Until 2018 more than 150 child amputees have been treated. The Association is also actively involved in the BIMBINGAMBA – Sport project, designed to get children with amputations or spinal injuries into the sport of handbike. Furthermore the Maratona dles Dolomites-Enel started a charity collaboration with Action Medical Research, an UK-wide charity funding vital research to help sick and disabled babies and children. They have been funding medical breakthroughs since they began in 1952 and almost everyone has been touched in some way by their ground breaking work like the first polio vaccines in the UK, ultrasound in pregnancy and the rubella vaccine. The research they have funded has helped save thousands of children’s lives and changed many more. Every pound raised has helped fund studies that could one day help children like Monroe, who at one week old lost his battle against the serious bowel condition, necrotising enterocolitis, Iona, who at five was diagnosed with brain cancer and little Joshua who had a rare and incurable condition, Jeune syndrome, and needed a ventilator to help him breathe.